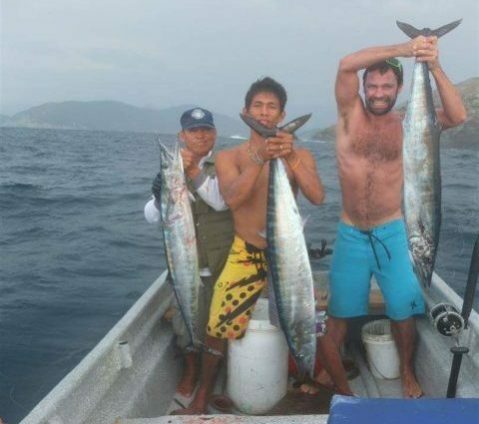 DETAILS Departure 9:00 am, from the office, travel by boat to reach Aguja Island where we will practice fishing with rods and naylon, for three hours, then we will have a snack in the “Granate” bay and have space to rest and practice snorkeling. Includes: maritime transport, fishing equipment, snorkeling equipment, snack and accompanying guide. DETAILS Departure 6:00 am, from the office, travel by boat to get to open water where we will practice anchoring fishing with rods and naylons, for several hours then we will have lunch in a fisherman’s beach and have space to rest and practice snorkeling. Beautiful day, we caught big fish, a nice experience I never had so much fun fishing ! !